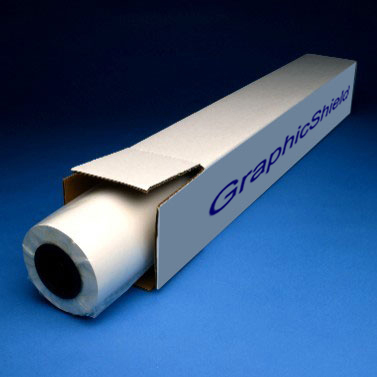 GS30 — Graphic Art Supply, Inc.
GraphicShield™ UV MATTE low-melt thermal laminating films are engineered with UV inhibitors to reduce graphic fade and protect against moisture. They feature adhesives that enhance clarity by sealing at 185º F. The low sealing temperature helps to preserve inks in digitally printed graphics, which an deteriorate at high temperatures. UV MATTE low-melt thermal laminating films are ideal for protecting posters, wide-format digital prints, photographic prints and display applications when a non-reflective finish is desired.